The stainless steel frontal panel, inspired by the Italian design and craftsmanship, makes Brera perfect for both traditional and modern kitchens. 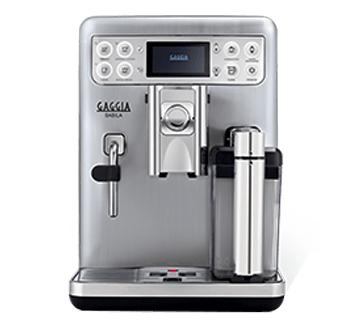 Thanks to the user-friendly interface, you can easily select the amount of coffee beans for your espresso, or you can move the knob to obtain hot water for teas or steam to froth milk. 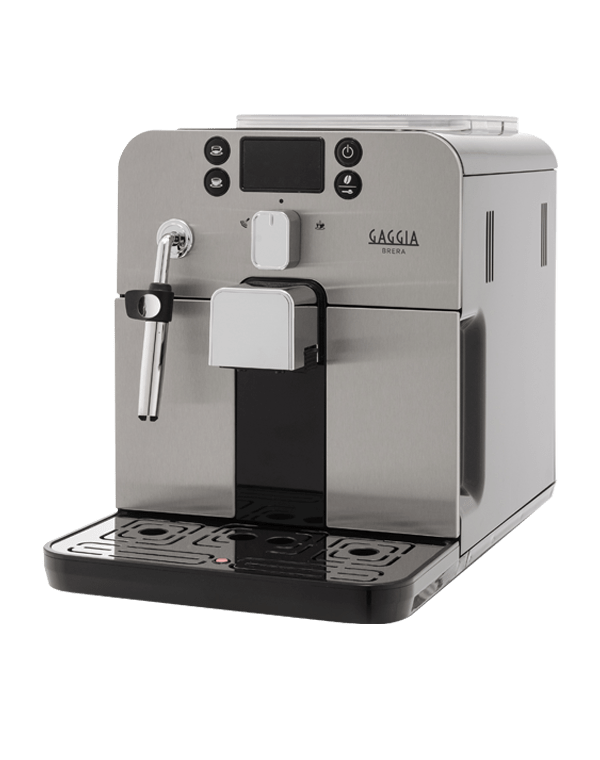 The LED icons on the display allow you to always keep track of the machine functioning. 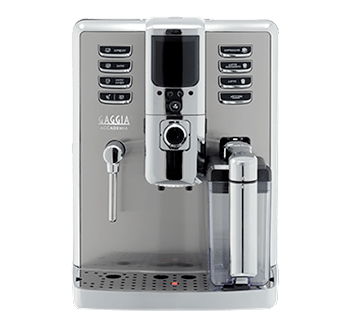 The classic stainless steel pannarello is the right tool to unleash your inner barista. 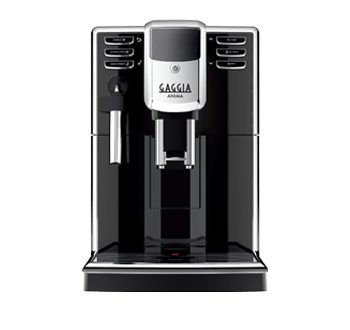 It dispenses steam to prepare gorgeous cappuccinos, latte macchiato and more, or hot water if you prefer teas. 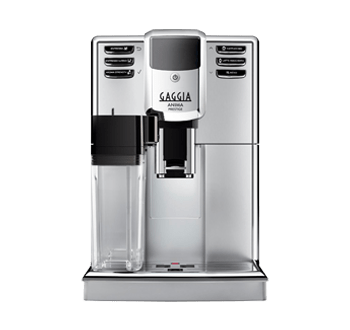 This feature gives you the unique possibility to personalize the intensity and flavour of your espresso. 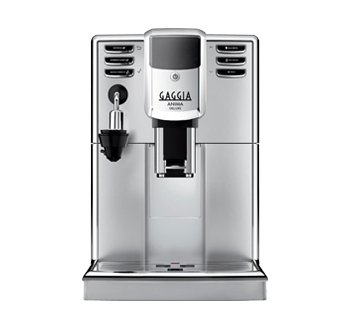 Create a tailor-made result by choosing the quantity of ground coffee per cup among 3 selections. 6. 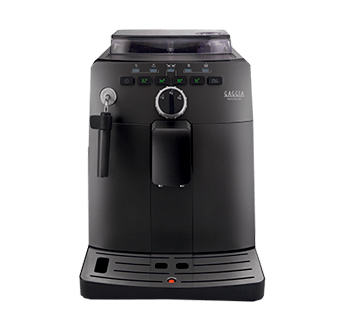 Adjust the grind size among the 5 available selections by pushing and turning the knob inside the beans container, only when the grinders are working. 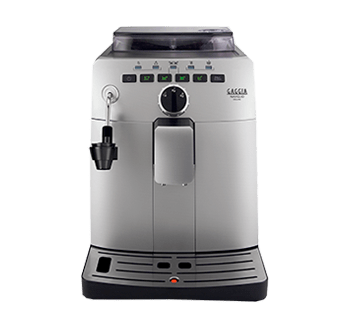 For a stronger taste or for light roasted beans, choose a finer grind, while for a lighter taste or dark roasted beans, select a coarser grind. 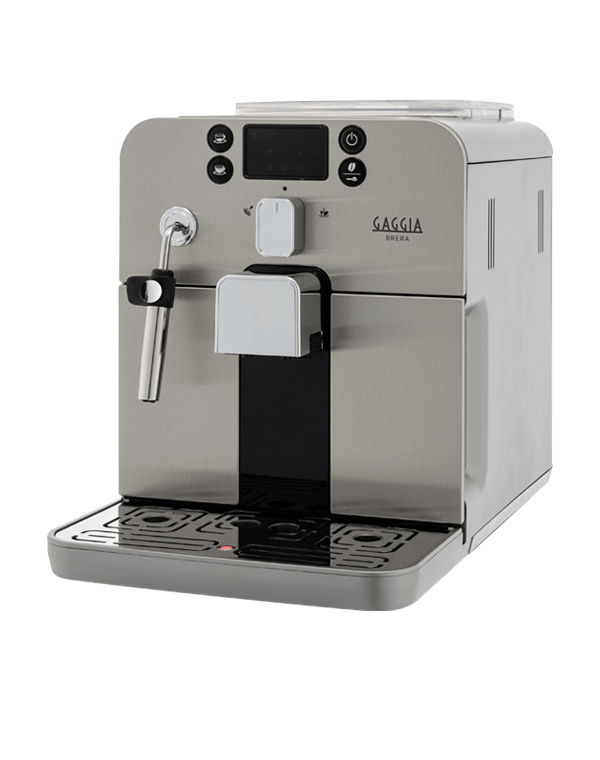 It is possible to adjust the grinder settings by pushing and rotating the knob inside the coffee beans container, one notch at at time, and only when the machine is grinding. 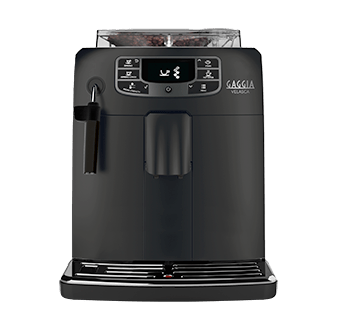 You can choose among 5 different settings, from 1 – the boldest (for light roasted coffees) to 5 – the lightest (for dark roasted beans). You will taste the difference after 2-3 brewings. For the 120V models, this adjustment must be done by following the same procedure but only when the grinders are NOT working. 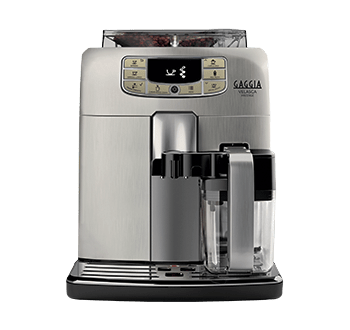 It is possible to customize and memorize the length of coffee simply by pressing and holding the button for 5 seconds until “MEMO” is displayed. When the desired quantity has been reached, press again the coffee button. The length is memorized for next uses. 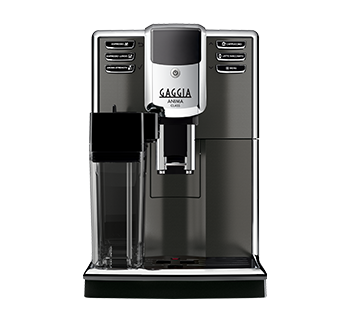 Gaggia Brera is compatible with Brita/Mavea Intenza+ water filter, especially designed to protect the machine against scale.